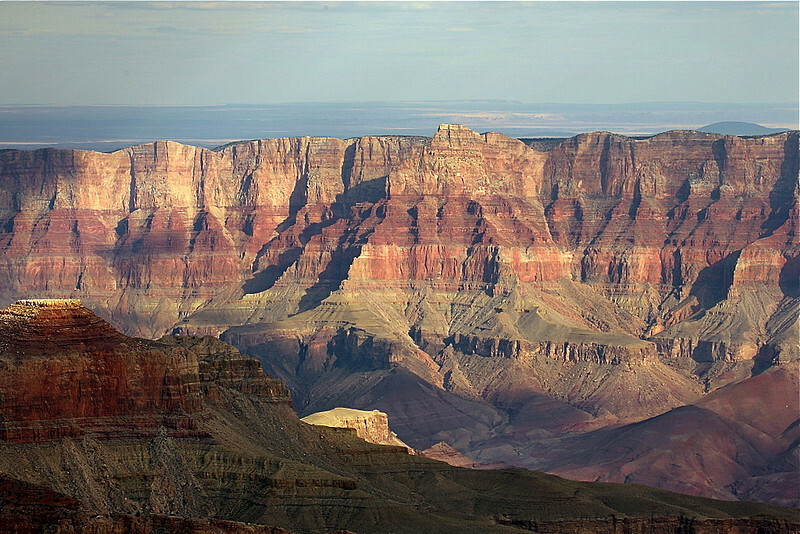 The view from the North Rim. For an alternative to the heavily visited South Rim of Grand Canyon National Park, consider the 212-mile journey to the North Rim on the Grand Canyon’s other side. The 4-hour-plus drive travels through the Kaibab National Forest, where golden leaves of quaking aspen trees shimmer in the light breeze on a crisp, fall day. And you’re sure to spot wildlife, like turkey and mule deer, playing in the meadows bordered by the ponderosa pine forests that continue to the very edge of the canyon. It’s a national park adventure that you don’t want to miss. 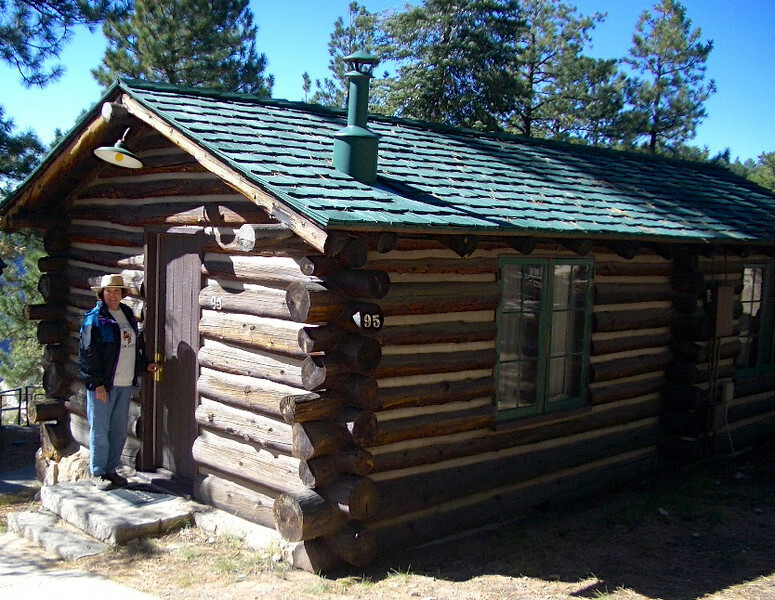 You’ll find rustic lodging in the Frontier cabins. Although only 10% of visitors to Grand Canyon National Park make it to the North Rim due to its isolated location, park lodging books up quickly, more than a year in advance. Accommodations are basic—log cabins with no telephones, television and very limited cell service. When Alan and I visited we were lucky enough to arrange a last minute booking in one of the Frontier cabins that included one double bed and one single bed with little space left over. Of course if we were campers, we could have stayed in the campground, if a reservation had been available (no hook-ups). But who cares about luxury lodging with a Grand Canyon view steps from the cabin? We walked the short path to Bright Angel Point to catch the sunrise before chowing down on an asparagus omelet in the dining room of the Grand Canyon Lodge. Designated a National Historic Landmark, the stone and timber building appears to melt into the environment. In the late afternoon, we sat on the lodge’s veranda overlooking the canyon waiting for a sunset show as the wind rustled through the trees to the click, click, click of camera shutters. Visit Angel’s window on the drive to Cape Royal. We enjoyed the 15-mile drive along Cape Royal Rd. that ended at Cape Royal. Numerous stops along the way offered chances to get out of the car and walk to scenic overlooks. Hiking enthusiasts of all levels have plenty of options for hiking the North Rim, or choose from a variety of mule ride excursions. Die-hard adventurers can hike from rim to rim on multi-day excursions. 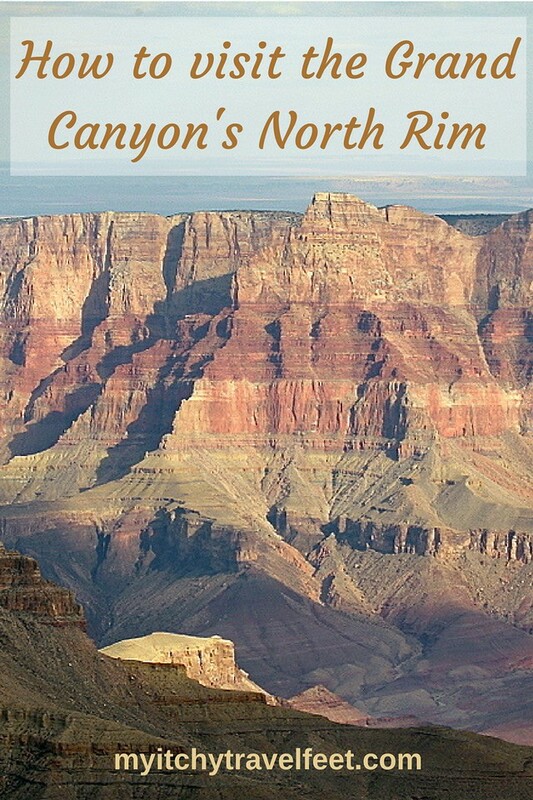 The North Rim is open from May to October. Besides the Grand Canyon Lodge, food is also available at Deli in the Pines and Camper Store. Once winter weather settles in, the North Rim is closed although hikers, cross-country skiers and snowshoers with a backcountry permit may use the campsites. Did you know that you can color the Grand Canyon in the pages of Coloring the West, An Adult Coloring Book for Travelers? It’s the next best thing to being there. 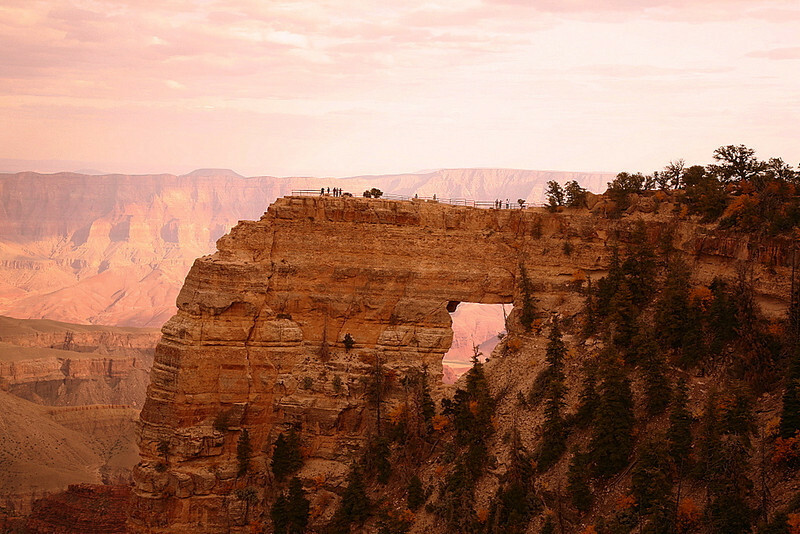 Do you have a favorite trail at the North Rim of the Grand Canyon? Join the conversation at the My Itchy Travel Feet page on Facebook or send us an email to ask a question or share your experience.